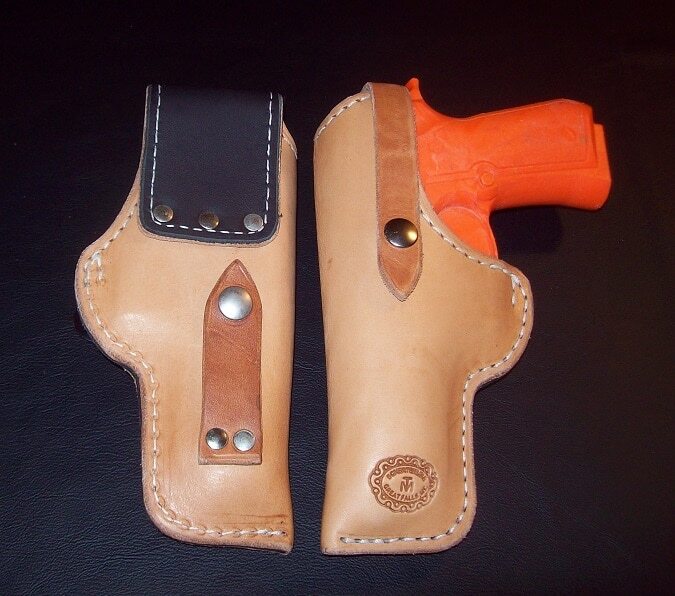 This left handed holster fits the Beretta models FN57 FS92 and FS94. Built in Montana with American tanned Herman Oak leather and lined with upholstery leather. Can be worn on the hip or with shoulder belt.